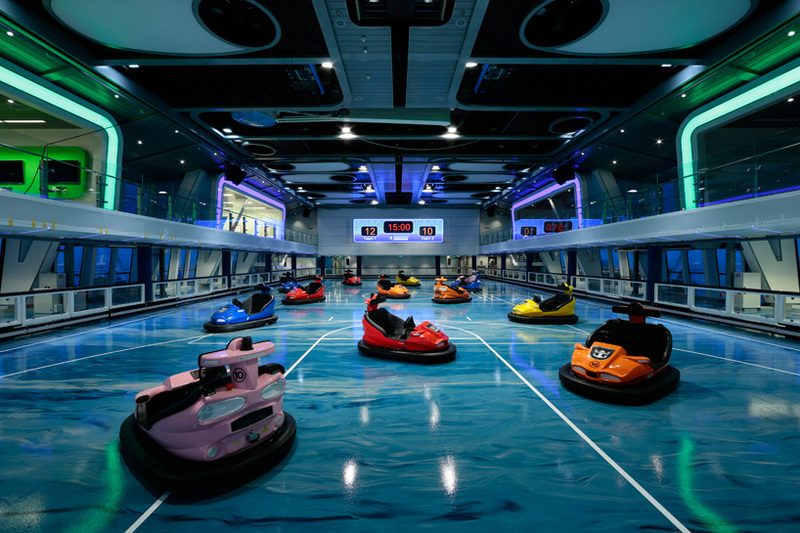 the royal caribbean ‘quantum of the seas’ smartship sails the cruise industry into the 21st century with a wave of unprecedented firsts for technology and at-sea features. 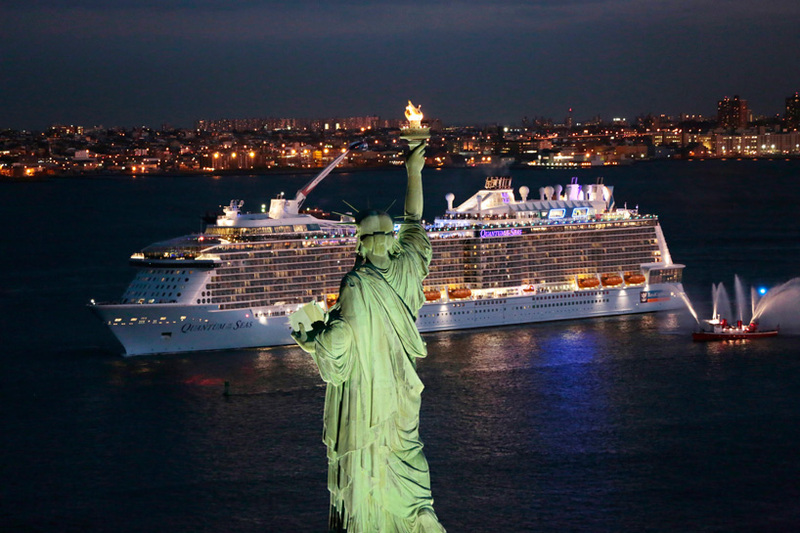 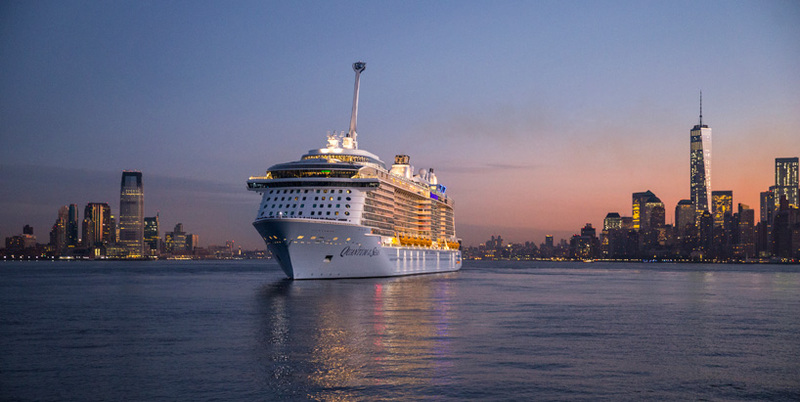 the fashionable, tech savvy and adventurous liner is the world’s first smartship and recently arrived at her homeport of cape liberty cruise port in bayonne, new jersey. 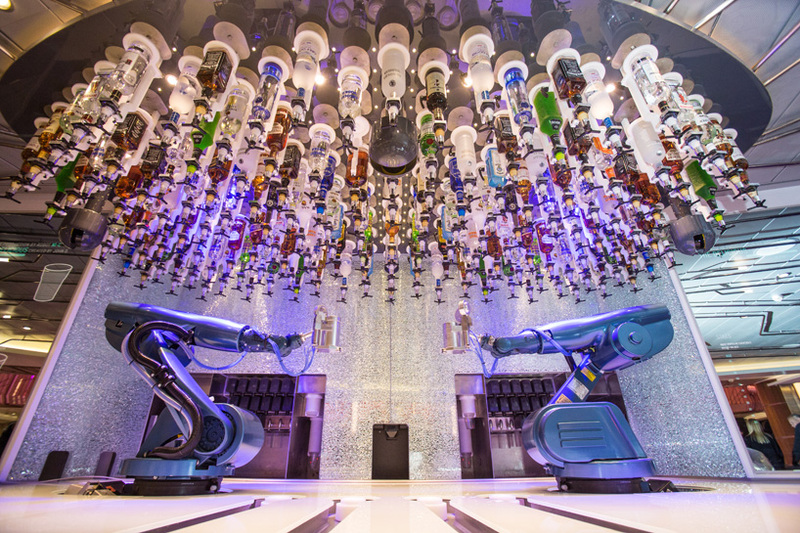 presenting what the modern age of cruising looks like, the ‘quantum of the seas’ features two robotic bartenders; B1-0 and N1-C, whose movements are patterned to the america ballet theater’s principal dancer, roberto bolle. 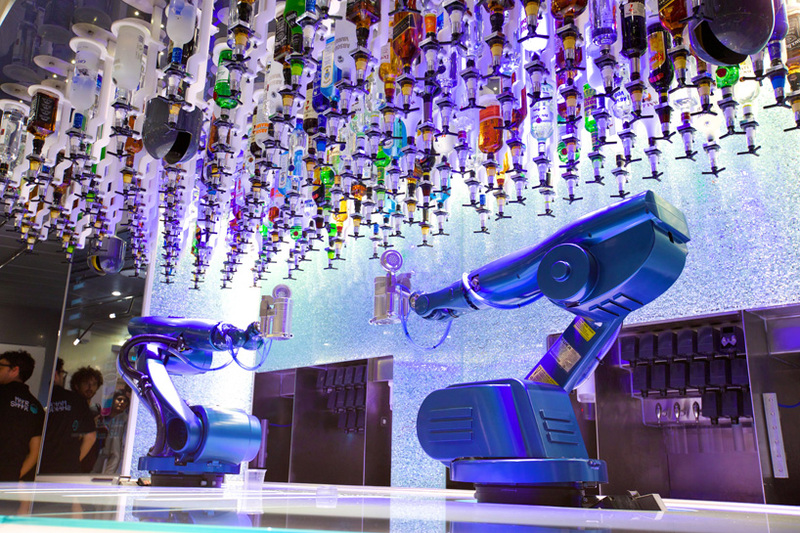 powered by carlo ratti’s makr shakr, the bionic arms can muddle, stir, shake and strain to create an almost endless amount of cocktail combinations which are then brought over to the guests’ table by a human waiter. 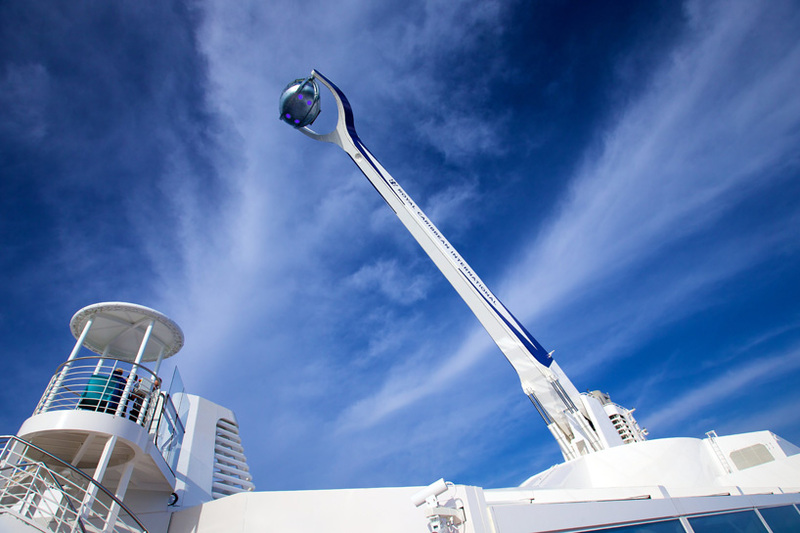 continuing the high level of technology, the royal caribbean ‘quantum of the seas’ offers patrons superfast wireless internet for 24/7 connectivity, and with a downloadable app named royal iQ, every detail of their vacation can be easily managed. 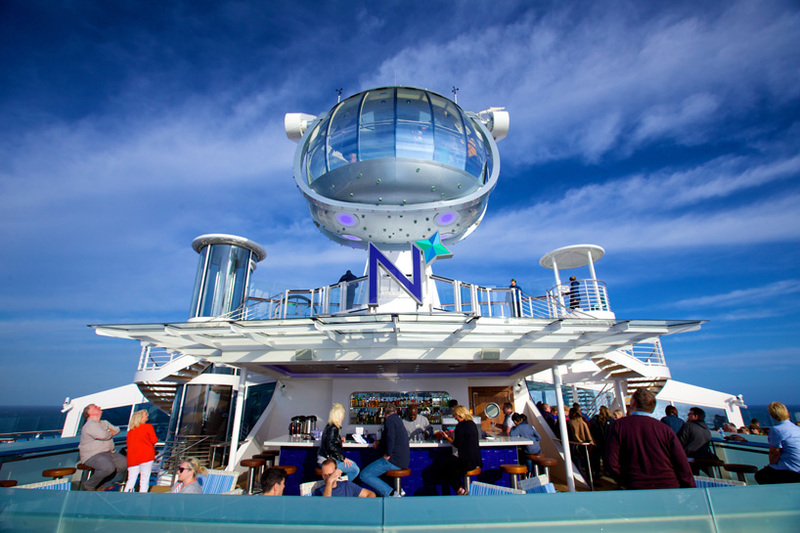 to further entertain the passengers, more exclusive on-board experiences are available such as the ripcord skydiving center by iFLY, a rising 360° glass observation capsule called north star and the largest indoor active space at sea, featuring bumper cars, circus school and trapezes. 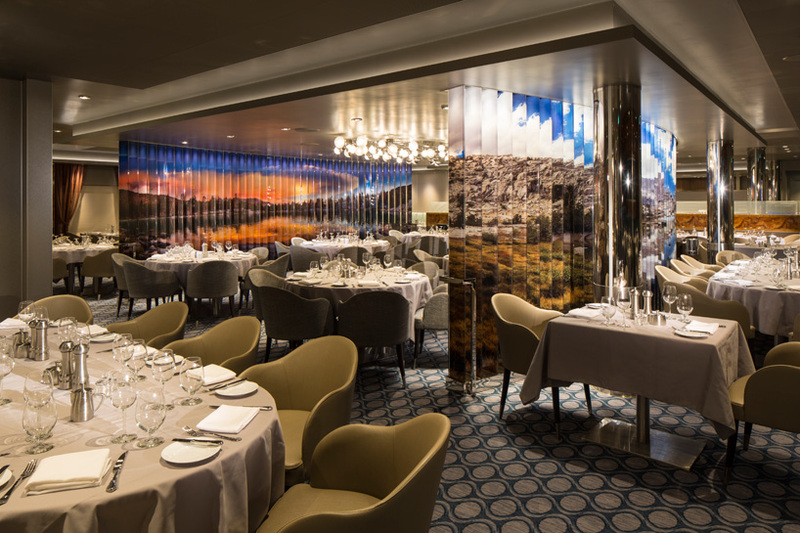 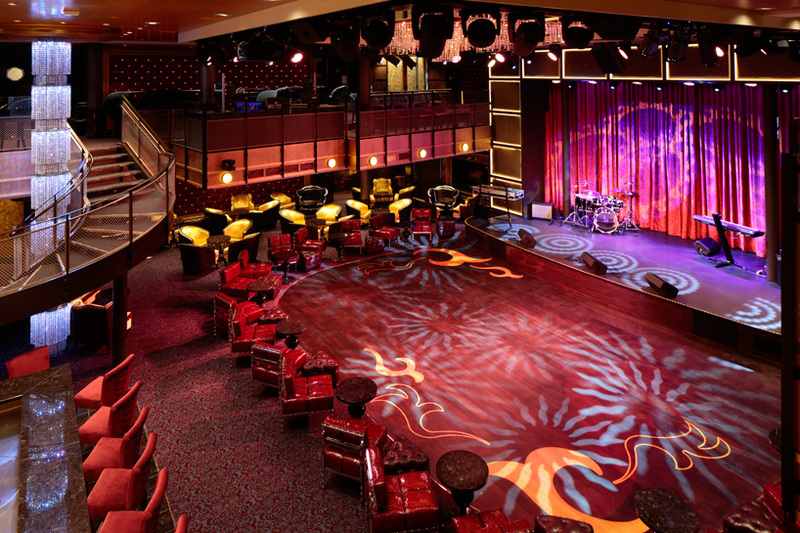 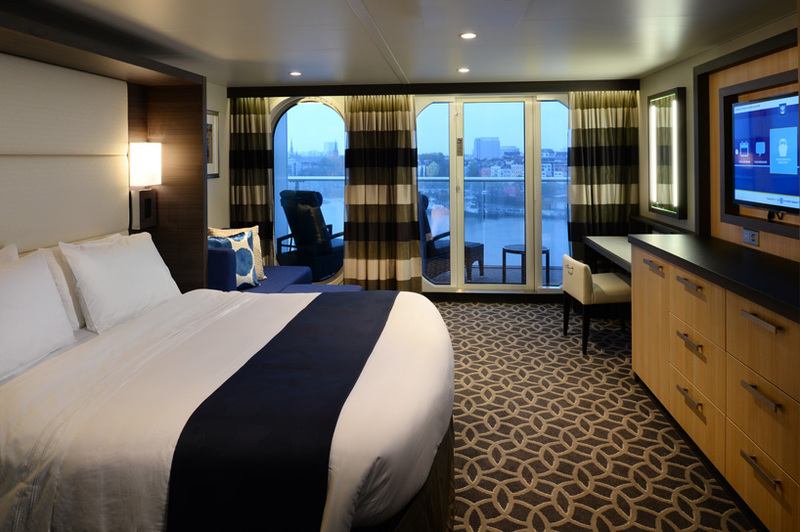 the guests staying in the 2,090 staterooms designed by genevieve gorder, can choose from 18 distinctive restaurants and shows with live performers, music and multidimensional special effects. 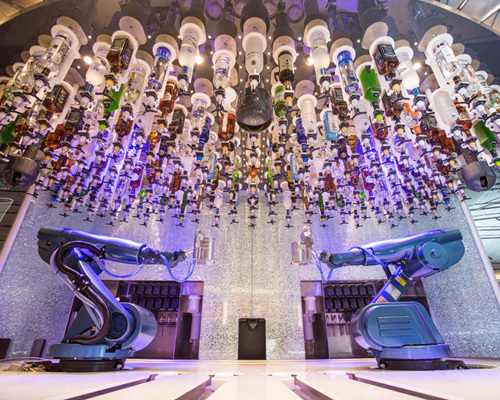 opening to guests in november 2014, the royal caribbean international ‘quantum of the seas’ will cruise in asia, the caribbean, europe and the transatlantic routes from late 2014 to 2015.
follow our links to find out more about the makr shakr robotic bartender and carlo ratti.